Our University Spotlight series is still going strong! Today we’re featuring one of our fellows from George Mason University, home to the Patriots in the sunny state of Virginia. 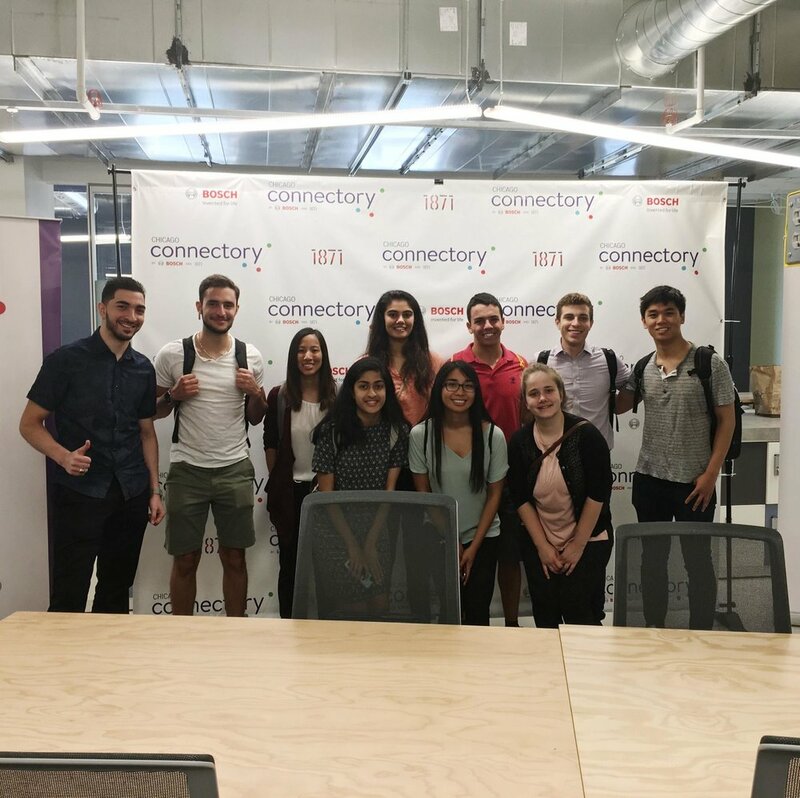 Keep reading to find out about Mohamad’s adventures in Chicago this summer as a Sage Corps fellow! 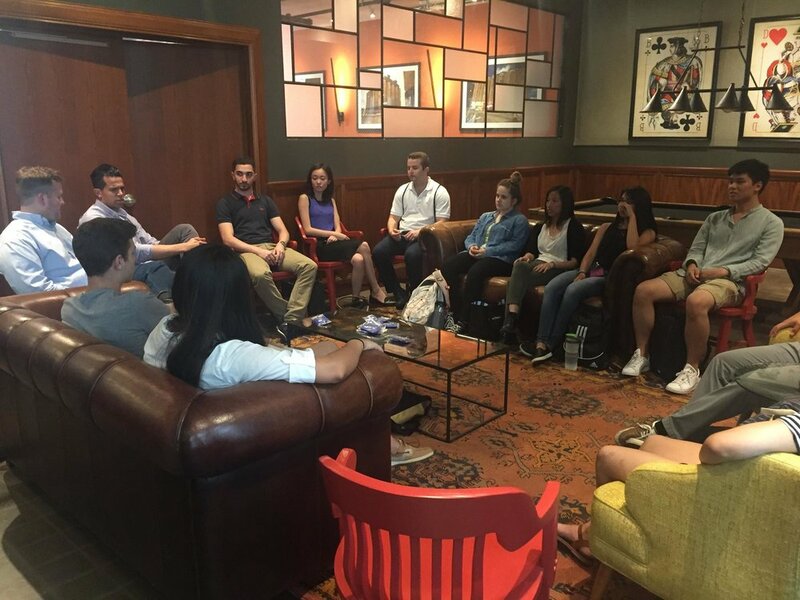 See what Mohamad had to say about his summer fellowship in the Windy City. What were some of your main responsibilities this summer? “I was the business development/accounting intern for FanFood (an online ordering app). I worked on several projects throughout the summer. My first responsibility was completing the data entry duties for every live event. Another responsibility I had was coming up with an entirely new accounting Excel spreadsheet that was more organized, easier to use, and more efficient and effective when calculating numbers. Another responsibility I had was creating a survey from scratch and sending it out to 4,000 customers. I was also responsible for conducting market research and coming up with a list of potential venues along with their respective capacities and events per year. One of my biggest wins of the summer was getting this internship. Every summer up until senior year I would take the easy way out and go back home to Dubai to enjoy my time with family and friends. This summer I decided it was time for me to step up and get an internship. My brother-in-law pointed me towards Sage Corps, I applied, and the rest is history. Mohammad and his fellow Chicago fellows talking startup strategy during orientation. I really enjoyed my stay here in Chicago and the unique city lifestyle that Chicago offers. With that being said, I now feel that traveling the world and seeing the different walks of life is something I need to do more often. Life is short and if we stay where we are most comfortable we will miss out on experiencing different cultures, food, people, and lifestyles. Traveling makes an individual more knowledgeable and more open minded because one’s misconceptions of a specific group of people or a specific religion, or even a lifestyle, tend to vanish when one experiences/witnesses all of that for himself/herself. So, cheers to traveling and exploring new cultures, people, and lifestyles. “A) It was a great opportunity to see how it is working with a startup, as well as witnessing firsthand the challenges a startup faces. B) I knew that the work I would do would make an impact. C) It was an opportunity to have more freedom and not have to follow specific guidelines like one does in the corporate world. D) It provided me with networking opportunities and the chance to meet new people. I have developed connections not only with startups, but also with companies like Deloitte that can be of great help once I graduate. Additionally, I have learned new tricks in Excel that can help me become a more valuable prospect for employers in years to come. Mohamad was a hard working and open minded Sage Corps fellow. We are proud to call him a Sage Corps alumnus! We’re excited to see what’s next for him, and will support him in his future career path, whatever that may be! Thumbs up! The Chicago cohort attending a professional event at 1871.